Charlie Roth’s 7th solo album is a collection of 12 new tracks. Once again he takes us with him on the journey! from the desert hill country of Texas to the heather clad glens of bonny Scotland. There is a song of his home on the plains, a waltz across love, and a reflection on social change, some barstool ballads about thinkin’, drinkin’, and cheatin’. 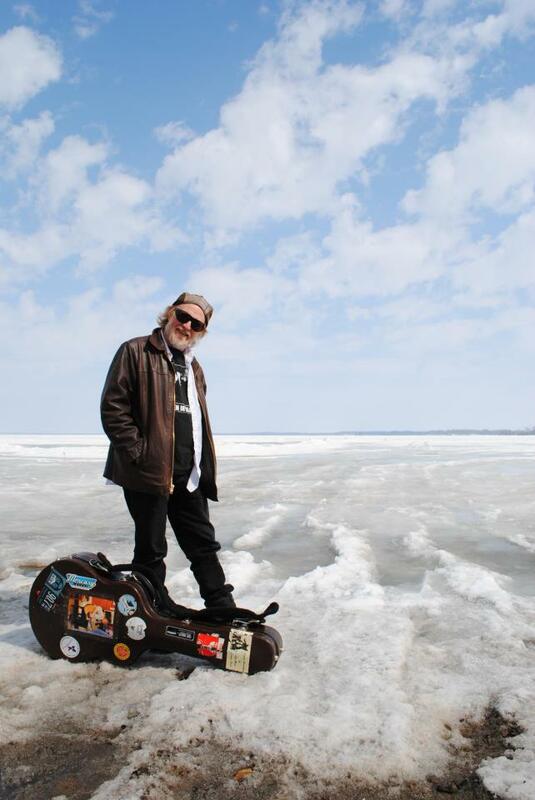 Charlie delivers stories as always plain and simple, inspired songs, inspiring playing, and inspirational singing. 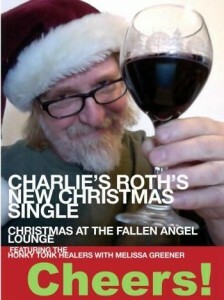 Menachem Vinegrad, who runs Israel’s leading Roots Music Festival The Jacobs Ladder Festival and broadcasts on Radio Upper Galilee says this of Charlie Roth’s “Christmas at the Fallen Angel Lounge” and Broadcasting a Christmas message in modern Galilee. “It is a fun song, and pretty universal in its sentiment. I do a combined Hanukkah & Christmas program at this time of the year. There is a minority Christian population here, also some Messianic Jews ( Jews who believe in Jesus as the Messiah, some of whom I know listen to my show) Anyway I think that the message of peace and goodwill is one that should be spread. 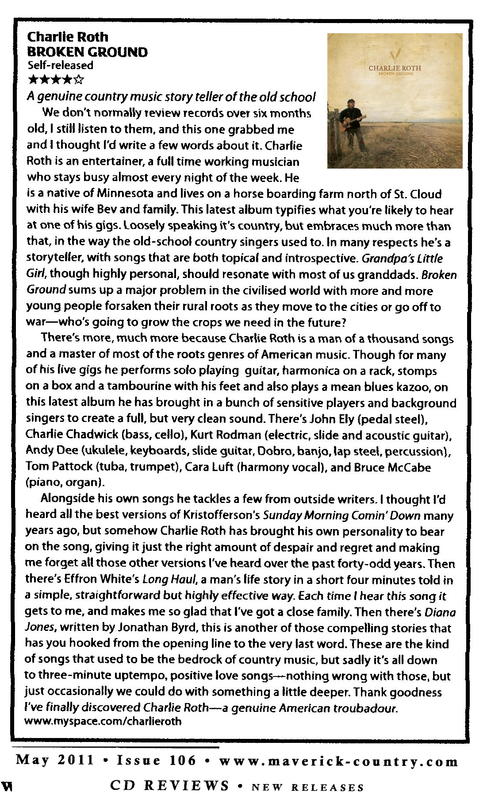 I enjoy Charlie Roth , and had intended to include “Candle Song” from Broken Ground , before the single arrived, in time time for the broadcast.